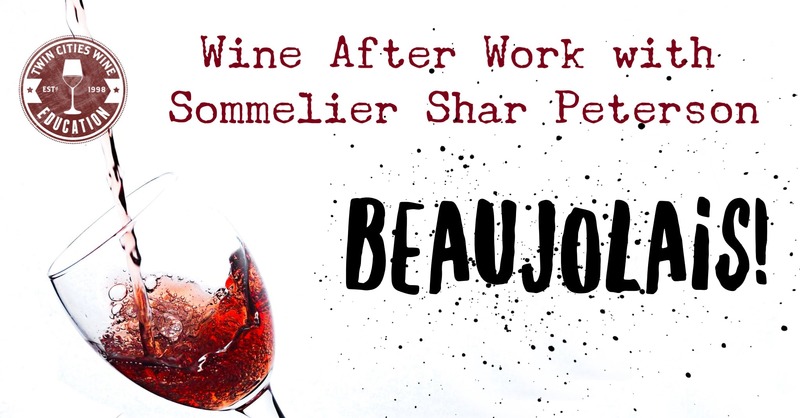 Learn the ins and outs of the wines of Beaujolais while tasting some amazing selections, diving deep with maps, and learning from Certified Sommelier and Wine Educator Shar Peterson. She’ll cover the key grape variety, the geography, the culture, how to get the most bang for your buck, and much more. “Real deal” Beaujolais is one of the most exciting segments in the world of wine. Cru Beaujolais, made in the ten sub-regions in the northern half of the Beaujolais AOC, produce wines of exceptional depth and complexity while being some of the most food-friendly wines out there. Come to learn what the big deal is all about! Detailed for you will the ten crus of Beaujolais and the key differences, plus shopping advice for you to get more of the style you are looking for. We will taste three great wines during the class, covering a wide range of styles. Limited seating! A few little bites from the Cafe Latte kitchen will be included. Arrive anytime around 5:30 for the one hour class with new wine friends! What is Wine After Work? Wine After Work is a series of fun and quick wine classes at local restaurants all over the metro area. Conducted by Certified Sommelier Shar Peterson of Twin Cities Wine Education, they are a quick dive into a specific topic in the world of wine while tasting a handful of delicious selections. What time are Wine After Work classes? As implied by the name, we aim to have these be a fun after work event. The gathering starts anytime after 5:15 pm, class begins around 5:30 pm, and ends around 6:30 pm. Is there food at Wine After Work? A couple of appetizers or a cheese board will be ordered for the table, but this is not a wine dinner. You’re invited and encouraged to stick around after at the host restaurant for dinner. Is there wine served at Wine After Work classes? Of course! We take pride in serving great wines for all of our classes, always with top quality Riedel stemware. All Wine After Work classes serves a minimum of three great selections.